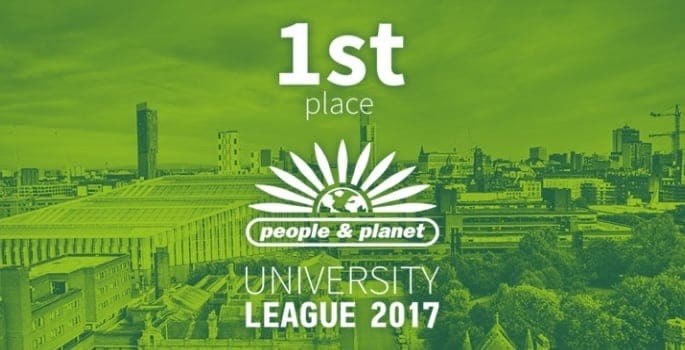 Manchester Metropolitan University has been named the greenest university in the UK, ranked in first in the People and Planet University League. 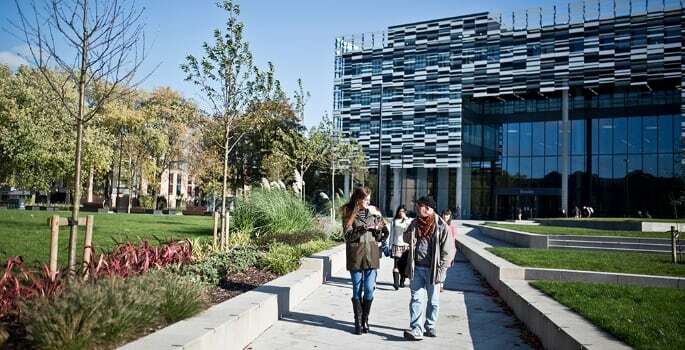 After climbing to the top of the table in 2013 from 91st in 2007, Manchester Metropolitan is the only university to retain a top three position for five consecutive years, demonstrating a continued commitment to reducing the university’s environmental impact. It is the only comprehensive and independent league table of UK universities ranked by environmental and ethical performance, compiled annually by the student network, People and Planet, and published today in The Guardian. It assesses a range of environmental and ethical factors, management practices and policies, and performance in carbon reduction, energy sources, waste and recycling, and water reduction. The league table is still the only independent assessment of UK universities rated by their environmental and ethical performance, creating transparency of universities’ commitments and practices. Manchester Metropolitan scored 77.6% overall and was awarded maximum marks for environmental policy, auditing and environmental management systems, sustainability staff, and education for sustainable development. The University ranked very strongly for ethical investment principles, and carbon and energy management. As part of the university’s online enrolment process, students provide information about their views on environmental sustainability. For the 2017-18 intake, 83% believe Manchester Metropolitan is an environmentally sustainable university and two-thirds of returning students stated that they are gaining knowledge to help understand global sustainability. The league table success is just one of a recent collection of accolades that highlight the university’s green credentials. Manchester Metropolitan, along with partners, won the best reuse and waste prevention project for the ‘Give It, Don’t Bin It’ campaign, at the Sustainability and Resource Awards. More than £200,000 was raised for charity and almost 2,000kg of food items donated from unwanted goods in student residences. The MetMunch student food network is also a finalist in the 2017 Green Gown Awards for best Enterprise project, taking place tomorrow (November 15). And over the last year, nearly 300 students have received carbon literacy learning. The conference will take place in Manchester on 5th and 6th December - book today!